Even though there are a lot of form factors available on the market, a lot of people still prefer 7 inch tablets. And we can’t blame them, as there are a lot of reasons why they do this: they’re compact, being very easy to carry around, they’re accessible, as you don’t need to break the bank in order to get one and, most important, they’re available in a wide variety of models, so you definitely have where to choose from. Still, the latter can be a problem for a lot of people. Since there are so many models on the market, they don’t actually know which model they should choose. At a first look, a lot of models seem to have similar specs, but the truth is that they’re pretty different. 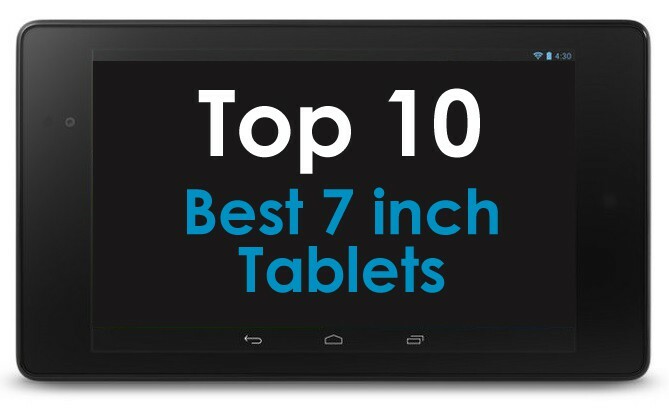 We’ve made a short list with 10 of the best 7 inch tablets you can currently buy, presenting all their advantages and disadvantages, in order to make your choice easier. All the devices listed below can be bought from Amazon, using the yellow button alongside their name, at the mentioned price. There aren’t no affiliate links on the buttons, just the direct ones to the products’ pages. Also, they’re arranged randomly. Despite being 2 years old, this Asus-made device is one of the best 7 inch tablets under $150 you can currently buy. Not to mention that it’s considered one of the best Android tablets ever made. One of its main advantages it’s that it comes with stock Android 4.3 Jelly Bean out of the box, with the possibility of updating to 5.0 Lollipop. Unfortunately, since it’s a relatively old model, it won’t be receiving Android M, like newer Nexus devices, but this doesn’t mean that it’s not a great deal, even after all this time on the market. The 7.0″ LED-backlit IPS LCD has a resolution of 1200 x 1920 pixels and it’s covered with Corning’s Gorilla Glass, keeping it protected against scratches. 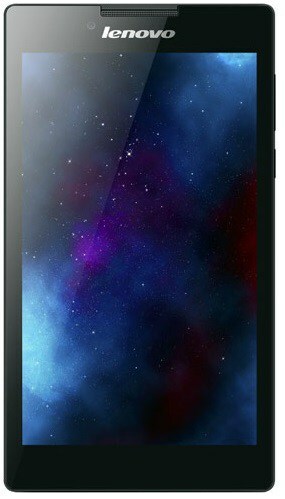 The Nexus 7 2013 is powered by Qualcomm’s Snapdragon S4 Pro chipset, with a quad-core Krait CPU, running at 1.5 GHz. The processor is aided by 2 GB of RAM, which, for a tablet released in 2013, is really impressive. It is available in two storage options, 16 or 32 GB, and you’ll have to stick to this, as it doesn’t have any microSD card slot. Still, cloud storage can be your friend! The camera department is represented by a 5 MP main sensor, with autofocus, able to take 2592 x 1944 photos and shoot 1080p videos @ 30fps. As for the front snapper, it’s just a 1.2 MP sensor, but it’s more than decent for quality video calls or some quick selfies. As for the rest of the specs, the tablet features 802.11 a/b/g/n dual-band Wi-Fi, Bluetooth 4.0, GPS, and NFC. In order to find all the details about this tablet, check out the full Nexus 7 (2013) review. Another Asus-made tablet makes it to our top, but this time, it’s not running stock Android, but a customized version of 4.4 KitKat. It’s the manufacturer’s thinnest tablet, available in 5 different colors, but powerful at the same time, able to deal even with some of the most demanding tasks. Also, even though we’re stock Android fans here, we must admit that the user interface used by Asus for this tablet is one of the most interesting we’ve seen lately, as the lockscreen can really come in handy. Released in September 2014, the Asus MeMO Pad 7 comes with a 7.0″ IPS LCD capacitive touchscreen and a resolution of 1200 x 1920 pixels. Under the hood, it has an Intel Atom Z3560 chipset, with a quad-core CPU, running at 1.83 GHz, alongside a PowerVR G6430 GPU and 2 GB of RAM. In terms of storage, it has 16 or 32 GB, but you can add up to 64 more, using a microSD card slot. On the back, it has a pretty nice 5 MP camera, able to take pictures at a maximum resolution of 2592 x 1944 pixels, while the front-facing unit has a 2 MP sensor. The tablet also features 802.11 b/g/n Wi-FI, Bluetooth 4.0, GPS and NFC. In order to find all the details about this tablet, check out the full Asus MeMO Pad 7 review. Dell is not such an important player on the tablet market, but one of their latest additions to their lineup, Venue 7 is the proof that these guys can actually make excellent tablets. It might not be anything special in terms of design, but it does have a couple of big pluses. 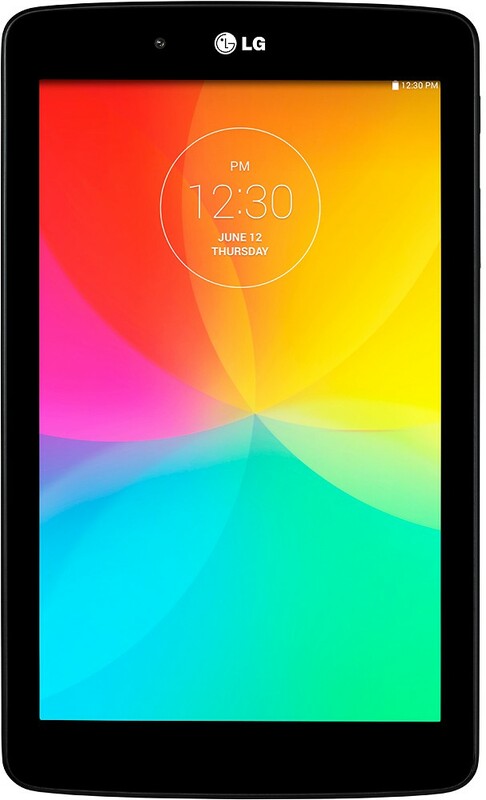 With a great build quality and running Android 4.2 Jelly Bean, upgradable to 4.4 KitKat, this could a great choice for anybody looking for a tough tablet, perfect for everyday use. The Venue 7 comes with a 800 x 1280 7.0″ IPS LCD display, hiding an Intel Atom Z2560 chipset under it, with a dual-core CPU, running at 1.6 GHz, PowerVR SGX544MP2 GPU and 2 GB of RAM. It has just 16 GB of storage, but thanks to the microSD card slot, you can expand it with 32 more. It’s a relatively cheap tablet, so on the back it has just a 3.15 MP camera, able to take 2048 x 1536 pixels photos, while the front VGA snapper is just enough for a decent video call. The specs list is completed by 802.11 b/g/n Wi-Fi, Bluetooth 4.0 and a GPS, so you can use the tablet while going for a trip with your car. 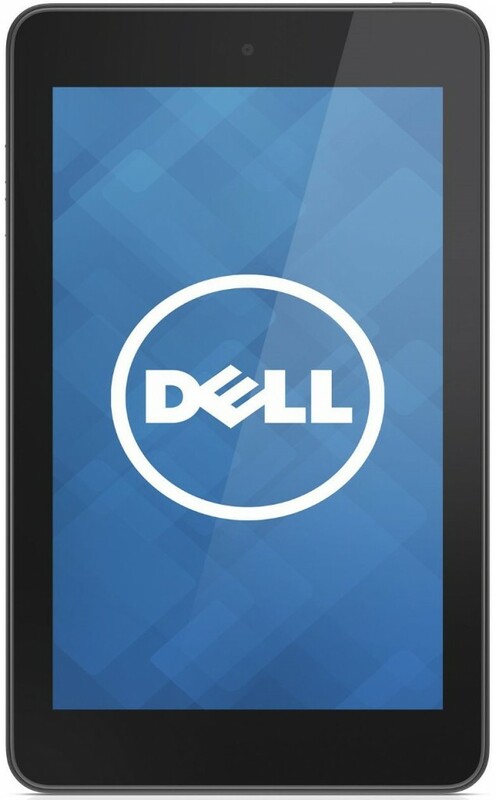 In order to find all the details about this tablet, check out the full Dell Venue 7 review. Moving on, one of the best 7 inch tablets under $100 makes it to our top. Believe it or not, it’s made by a very big brand, with a lot of experience, so despite the price, you’re getting a high-quality product. With a great looking design, HD display and Android 4.3 Jelly Bean on-board, upgradable to KitKat, the Acer Iconia One 7 is a great tablet, no matter if you’re a beginner or an experienced users. Oh, and it can take some really great pictures, even though we wouldn’t advise you to do such thing with a tablet. Released one year ago, the Acer Iconia One 7 features a 7″ display, with a resolution of 800 x 1280 pixels. It’s powered by an Intel Atom chipset, with a dual-core CPU, running at 1.6 GHz. The PowerVR SGX544MP2 takes care of the graphics department, while the 1 GB of RAM makes sure that this tablet can also deal with multitasking. It has a storage capacity of just 8 GB, but with the help of a microSD card, you can expand it with up to 32 more. On the back, we can spot a 5 MP camera, which can be used for taking photos at a maximum resolution of 2592 x 1944 pixels, while the front snapper has just a 0.3 MP sensor, but it’s enough for video calls with your family and friends. Of course, the quality of the image won’t be the best, but it’s still better than nothing. Finally, it has just Wi-Fi Bluetooth 4.0, but for a tablet with a price tag of under $100, is just enough. In order to find all the details about this tablet, check out the full Acer Iconia One 7 review. One of the latest additions to the Tab line, Samsung Galaxy Tab 4 7.0 is not just one of the best 7 inch tablets on the market, but it’s actually one of the best tablets you can currently buy. For less than $150, you will get a very stylish device, inspired by last year’s flagship, the Galaxy S5, an excellent display and more than decent specs. Also, the tablet is powered by Android 4.4.2 KitKat, customized with the South Korean manufacturer’s user interface, TouchWiz. Samsung’s tablet comes with a 7.0″ TFT capacitive touchscreen, with 16 million colors and a resolution of 800 x 1280 pixels. It’s powered by a Marvell PXA1088 chipset, with a quad-core processor, clocked at 1.2 GHz and 1.5 GB of RAM, an unusual amount of memory, compared to other models from this top. It has 8 or 16 GB of internal storage, but like most Samsung tablets, it offers the possibility of expanding this with up to 32 more, using a microSD card. The back camera has a 3.15 sensor and it’s able to shoot 2048 x 1536 photos, while the 1.3 MP front-facing one will deliver some great selfies. 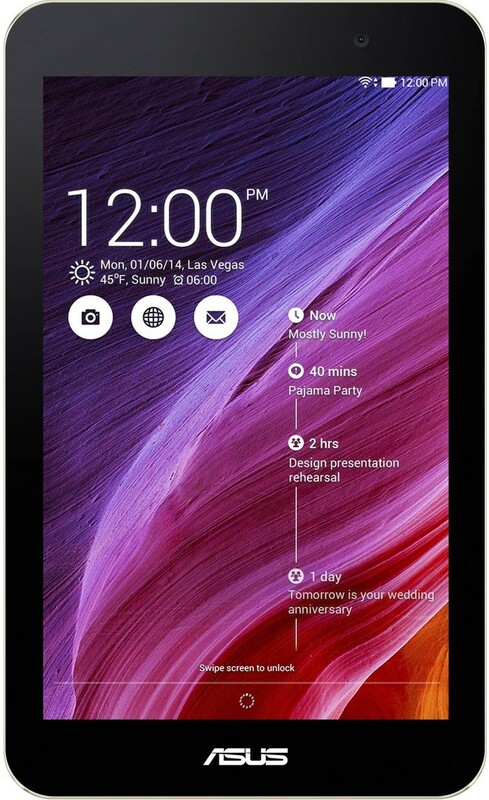 The tablet features Wi-Fi, Bluetooth 4.0, an infrared port, accelerometer and of course, GPS. 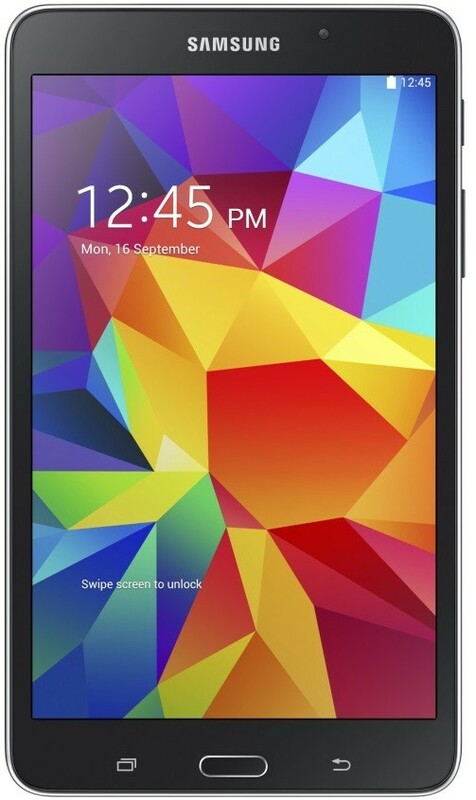 In order to find all the details about this tablet, check out the full Samsung Galaxy Tab 4 7.0 review. The folks over Lenovo have a lot of excellent models in their portfolio, starting with cheap models, like the Lenovo Tab 2 A7-30 and ending up with high-end models, from the Yoga line. 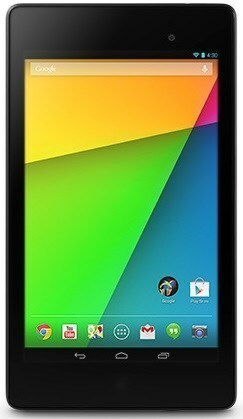 Despite the price, you’re looking at what can be easily considered the best budget 7 inch Android tablet. It has a great design, with slim bezels and it’s very light, while the IPS display, with a resolution of 600 x 1024 pixels delivers bright and vivid colors, no matter the angle you’re watching it from. Finally, the tablet is running Android 4.4.2 KitKat, while an upgrade to 5.0 Lollipop is on the way. Despite the fact that it’s powered by an entry-level chipset, the MediaTek MTM8382M, with four Cortex-A7 cores, running at 1.3 GHz, a Mali-400MP4 GPU and 1 GB of RAM, the Lenovo Tab 2 A7-30 is a great tablet, considering its price tag. It has 16 GB of internal storage, expandable, using a microSD card slot. The main camera has a 2 MP sensor, which you can use for taking 1600 x 1200 pictures, while the VGA front snapper is good enough for a quick video call. Finally, the spec sheet is completed by Wi-Fi, Bluetooth 4.0, A-GPS and an accelerometer. In order to find all the details about this tablet, check out the full Lenovo Tab 2 A7-30 review. Currently, South Korean manufacturer LG seems to be focusing on smartphones and they’re doing a very good job. Still, they also have tablets in their portfolio, which, even though they’re not that well known, are very good. Actually, the G Pad V410 can even be considered one of the best 7 inch tablets of the moment. It comes with a quad-core CPU, Android 4.4 KitKat, an excellent 3.15 MP rear mounted camera and a slim profile. Interested already? The tablet comes with a 7.0″ display, boasting a resolution of 800 x 1280 pixels, while under the hood it features a Qualcomm MSM8226 Snapdragon 400 chipset, with a quad-core Cortex-A7 CPU, running at 1.2 GHz, alongside an Adreno 305 GPU and 1 GB of RAM. Unfortunately, it has just 8 GB of internal storage, but using a microSD card, you can expand it with up to 64 more. On the back, the G Pad V400 has a 3.15 MP camera, able to take 2048 x 1536 snapshots, while on the front, it comes with a 1.3 MP sensor, so you can enjoy video calls at a 720p quality. The tablet also has Bluetooth, so you can pair it with compatible devices, Wi-Fi, for quick Web access, GPS, an infrared port and finally, an accelerometer. In order to find all the details about this tablet, check out the full LG G Pad V400 review. Launched in January 2014, Samsung’s Galaxy Tab 3 Lite is still a great choice for anybody who wants a good 7 inch tablet, but without spending a lot of money on it. For a bit over $100, you can get a well built tablet, with a decent spec sheet, perfect for everyday activities, like browsing the web, checking your social media accounts or even watching videos. Also, the now classic look, is also a big plus! Just like the other Samsung tablet in our top, the Galaxy Tab 3 lite comes with a 7.0″ TFT display, with 16 million colors, but with a resolution of just 600 x 1024 pixels. It’s powered by a Marvell PXA986 chipset, with a dual-core CPU, clocked at 1.2 GHz, Vivante GC1000 GPU and 1 GB of RAM. Since it’s a cheap model, the storage counts just 8 GB, but fortunately, it has a microSD card slot, so you can add up to 32 more, which is just enough for a regular user. The only camera you’ll get is on the back, as the 2 MP sensor will allow you to take 1600 x 1200 photos. Also, for $119, you’ll get Wi-Fi, Bluetooth 4.0, GPS with GLONASS and an accelerometer. 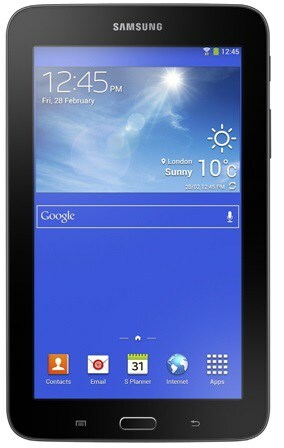 In order to find all the details about this tablet, check out the full Samsung Galaxy Tab 3 Lite review. Designed for the ultimate mobile entertainment experience, book retailer Barnes’ tablet is one of the best 7 inch tablet on the market , and we’re not talking just about the price. The 7″ display provides a great resolution, so you can enjoy all your media content and books, while the battery life makes sure that you will never get bored during a long flight or car trip. The LCD display has a resolution of 900 x 1400 pixels and it’s also using the IPS (in-plane switching) technology, meaning that you can use it in various lighting conditions. A Texas Instruments OMAP4479 is in charge with processing, as its two cores, running at 1.3 GHz, are just enough for reading and enjoying various apps. The tablet also has 1 GB of RAM, while the storage counts 8 or 16 GB, depending on the version. Of course, you can expand this, using a microSD car slot, with up to 32 GB. It doesn’t have any camera, but for this ridiculously low price, you get ambient light sensors, accelerometer and Bluetooth 4.0 . 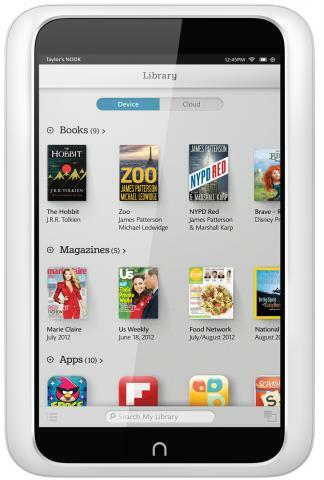 In order to find all the details about this tablet, check out the full Barnes & Nobles Nook HD 7″ review. Last but not least, our top is completed by Amazon’s Kindler Fire HD 7 tablet. If their first smartphone wasn’t exactly the most successful device launched by Amazon, the Kindle line is represented by excellent devices and the Fire HD 7 is one of them. Even though it’s made to consume content for Amazon, let’s not forget that a great Android tablet too, designed for entertainment. Amazon’s tablet comes with a 7.0 IPS LCD display, with a resolution of 800 x 1280 pixels. The chipset of choice is a Texas Instruments OMAP 4460, with two Cortex-A9 cores, running at 1.2 GHz. It’s aided by 1 GB of RAM and a PowerVR SGX540 GPU. The tablet is available with 16 or 32 GB of storage and that should be enough, as it doesn’t have a microSD card slot. It has just a primary camera on the back, with a 1.3 MP sensor, able to shoot 1280 x 1024 pictures. Other specs worth mentioning are the Dolby Digital Plus audio technology, alongside an accelerometer, gyroscope and a Bluetooth 4.0 interface. 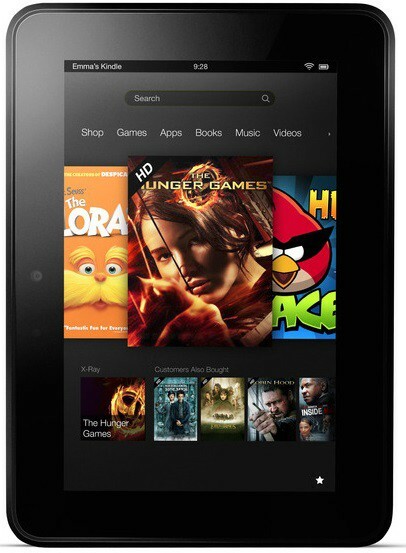 In order to find all the details about this tablet, check out the full Amazon Kindle Fire HD 7 review. And this was it, our list reached the end. Above you can see 10 of what we consider to be the best 7 inch tablets of the moment, alongside a few of the details that made us choose them, the most important specs and information about how you can buy them. Of course, let’s not forget that there are way more 7″ tablets available on the market, made by various manufacturers, but we like to think that our picks are the best, combining a great design, more than decent specs and, most important, a good price. As always, if you have any other suggestions or if you think that we’ve missed some important models, feel free to tell us about them, using the comment section below. If you’re looking forward to buying a new tablet, but a 7″ display is to small for you, keep an eye on GeekSays as more buying guides are coming soon, presenting the best 8″ and 10″ tablets.